Choosing adoption for your child can be an incredibly selfless and loving act. There are many misconceptions, rumors, and myths about adoption, as the process has changed dramatically over the last several decades. If you’re interested in adoption for your child, Options for Women would love to discuss that process with you. You can decide whether an open adoption is right for you. You can choose the adoptive family for your child. 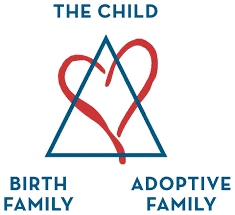 You can discuss with the adoptive couple what contact you’d like to have, if any. It is completely your choice. You may receive financial assistance from the adoptive family regarding pregnancy-related expenses. You would make a loving, stable couple that has dreamed of having a child incredibly happy. Experts estimate between 1 and 2 million couples in the US are waiting to adopt. Approximately 3 out of every 4 children adopted between the ages of 0-5 are read to or sung to every day. 90% of adopted children over the age of 5 have positive feelings about their adoption. Birth mothers are completely in control of how much time they commit to the adoptive relationship. For every 1 child placed for adoption, there are 40 couples waiting to adopt. The facts paint a very different picture than what you might have heard about adoption before. Adopted children are loved and treasured by their families, and adopted kids feel positive about being adopted. Adoption might be right for you if you are still in school, focused on your career, or aren’t emotionally or financially ready to take care of a child. In many cases, it gives both the birth mother and adoptive couple what they want. No matter what options you are considering for your pregnancy, Options for Women is here to listen and support you along your journey. Schedule an appointment with us today. Options for Women does not actually perform/orchestrate adoptions at our center, as we are not a licensed adoption agency. However, we do provide support/referrals/information regarding adoption.